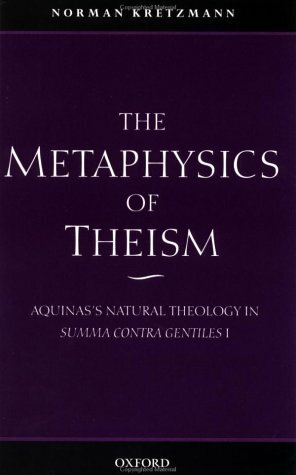 The Metaphysics of Theism is the definitive study of the natural theology of Thomas Aquinas, the greatest of medieval philosophers, written by one of the world's most eminent scholars of medieval thought. Natural theology is the investigation by analysis and rational argument of fundamental questions about reality, considered in relation to God. Professor Kretzmann shows the continuing value of Aquinas's doctrines to the philosophical enterprise today; he argues that natural theology offers the only route by which philosophers can, as philosophers, approach theological propositions, and that the one presented in this book is the best available natural theology.